Home News/Blog If you had to transport your pets would you know where to start? Travel and logistics make the world go around, but people aren’t the only ones making long-distance journeys. Pets and livestock are boarding planes now more than ever, but terror doesn’t have to come with transportation. Time recently covered the deaths of animals on United Airlines more than any other major passenger carrier. The deaths have resulted in IATA rolling out new standards of travel and solutions to logistics challenges are still being worked out. Here are some tips to consider before your furry friend becomes freight. If you’re considering travel, find out first where your animal will be placed during the transportation. Many people are often surprised that animals are shipped on the belly or underside of the plane with freight, luggage and hazardous goods. Most of these cabins don’t contain air conditioning and often are cramped as to maximize space capacity. You’ll also want to consider the loading process of the animal. Are they loaded first or last into the aircraft? 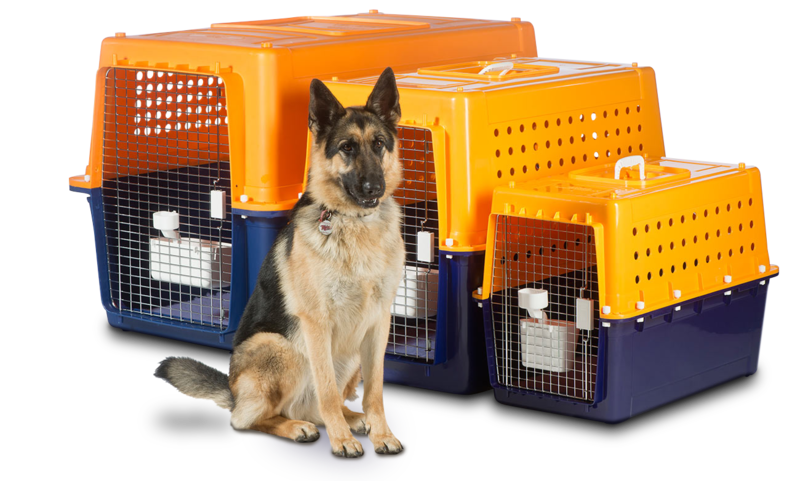 This will allow you to make informed decisions as to the safety, stress and time your pet will be in confined quarters. Crates or cages? What is better when transporting animals? Before you purchase any special container or enclosures for your pets, ask yourselves about the trajectory of the flight and if the equipment used is appropriate for climate conditions. For example, if you’re sending your dog from Canada to Florida, you’ll want to make sure your pet is warm at the origin but consider the climate chage in Florida. Ask the airline if a crewmember may remove any covers from the cage or transport the pet to a more open pen once the temperature begins to change inflight or upon arrival. This goes without saying, but animals should have enough water and food in their cages to last throughout the journey. Carriers allow food and water containers to travel attached to cages and instruct or assign animal care to warehouse agents. Owners are also encouraged to walk and feed pets before they drop off their pets for travel. It is important to note however that not all carriers have assigned staff to watch over pets. Find out just how closely pets will be monitored and if they will be fed or given water throughout the flight and how many times. This will give you peace of mind when selecting the carrier and will allow you to hold airlines accountable if the protocol is not followed. 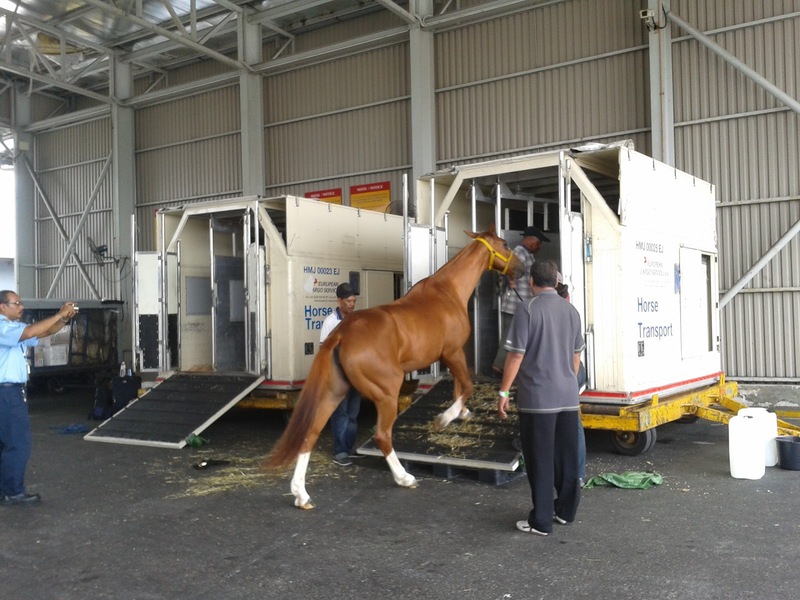 Horses during air export transport. Just how long will your pet be in transit anyway? Make sure your carrier is precise when confirming the itinerary. Will there be any stops? 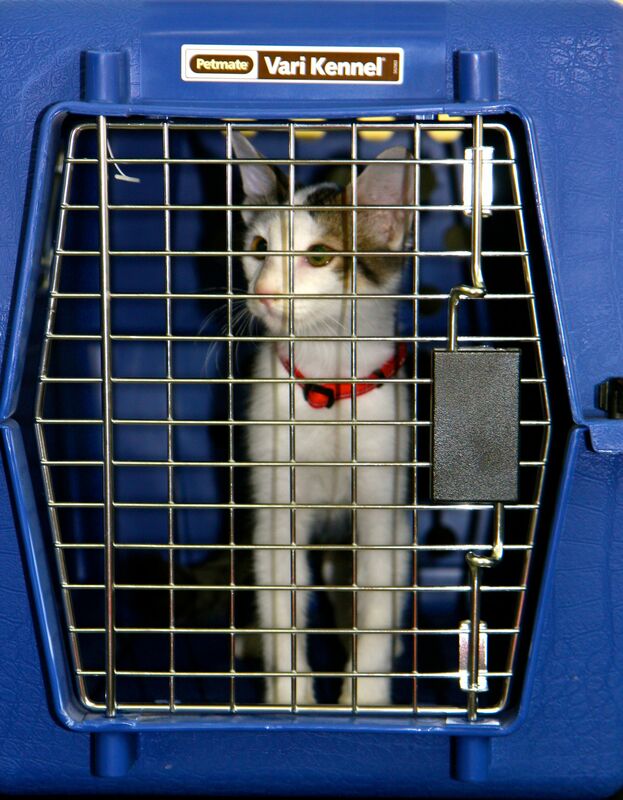 Will your pet be offloaded or moved around during transit before reaching the final destination? You’ll want to make sure you know exactly how many times your pet will be handled and what they may be subjected to during travel. If you’re planning on sending your pet on a trip, you should make sure it is medically safe to do so. Often vets can advise if your pet is healthy enough to travel or if you should find an alternate way of shipping. You’ll also want to find out if there are sedatives or medicine your pet may be given to reduce the travel stress and if they are safe to combine with travel. Always trust yourself and your intuition when traveling with or without your animal. Take all necessary precautions and search all available options when deciding on who will transport your precious cargo.